I want to invite you once again to join my Thanksgiving giveaway which will end at the end of this month, so you still have until tomorrow to submit your entry. This software is awesome to use especially if you are tech savvy. For me, I am still learning and trying to read some of their tutorial. This software is a great tool to create some beautiful design, sorry mine isn't that pretty but as I have said, I am still learning how to use it. The following are the official entries to this contest. The lucky winner will be picked through random.org and will be announced at the first week of December, so check back. The giveaway is now closed. The winner will be announced tomorrow, so please check back. At an early age, our daughter is very interested in designing jewelry and sketching dresses. Whenever she is not busy with her school homework, she is either sketching for clothes designs or making some cute blings out of her beads. She might love to use pandora style beads when she grows up but for now, she is contented of her bead collections. How about you, what does your child love to do? To thank everyone who has been so generous in spending their precious time reading my blog, I would like to share this free digital scrapbooking software, a $50.00 value giveaway being sponsored by my memories suite. 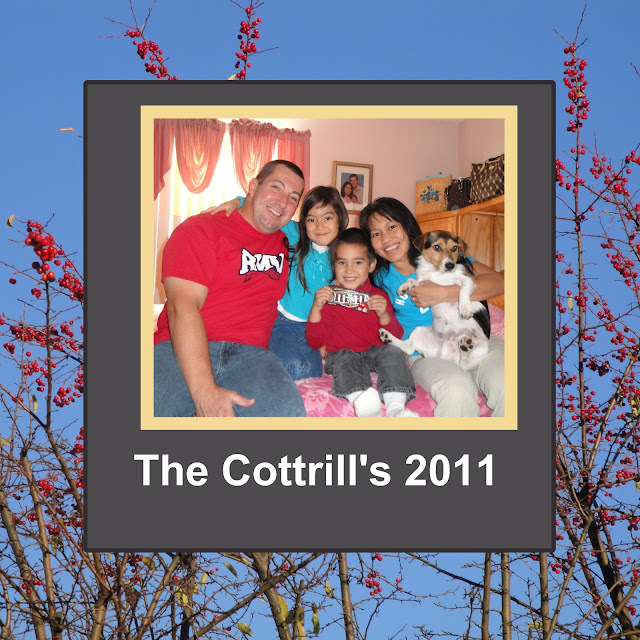 This award winning digital scrapbook software is extremely easy and fun to use. My Memories Suite is rated #1 by Amazon and TopTen Reviews. Using this software, you can create digital scrapbooks, photobooks, cards, calendars and gifts without having to buy expensive and complicated software programs. Now if you are a frequent visitor of my blog/s, I am not skilled in tweaking arts and stuff like this online but I manage to do the family photo below that we just took a couple of days. I am still learning all the features of the software but so far, I love it! Here are the simple guidelines in order for your entry to be valid. Visit www.mymeories.com and choose your favorite digital paper pack or layout, then tell me which one you like through your comment. Follow my photography blog, ClickSensation, thru GFC and Facebook (if you haven't yet). Then make a short post about this giveaway linking back to this post and leave the url of the post through your comment here.. I will be using random.org to pick which one of you will be the lucky winner for a free scrapbooking software. Winners will be announced at the end of this month. Good luck! PS.. Please post in different comment with regards to the simple requirements just like what the first entry (Mharms) has done. Thanks for joining! Big sister is trying to enrich baby brother's vocabulary by teaching him some words from the magnetic alphabet letters. Photos were taken at my FIL's kitchen. Family photo taken at my FIL's bedroom upstairs. We were just having fun and trying to have a family photo which is very rare to happen hehehe. Hope you guys had a nice Thanksgiving! Ms. Burrito got a stye on her left eye last week. We noticed the small inflammation on Tuesday but she said that it wasn't bothering her. By Friday, it was bigger so we brought her to the doctor and she was given an antibiotic eye drop to avoid infection. The drops helped and by Saturday, the Stye was gone. Below are some wacky faces they were making while waiting for the physician. The wanted me to join so I stuck my tongue out too lol. This is the last rose that we picked in our garden. 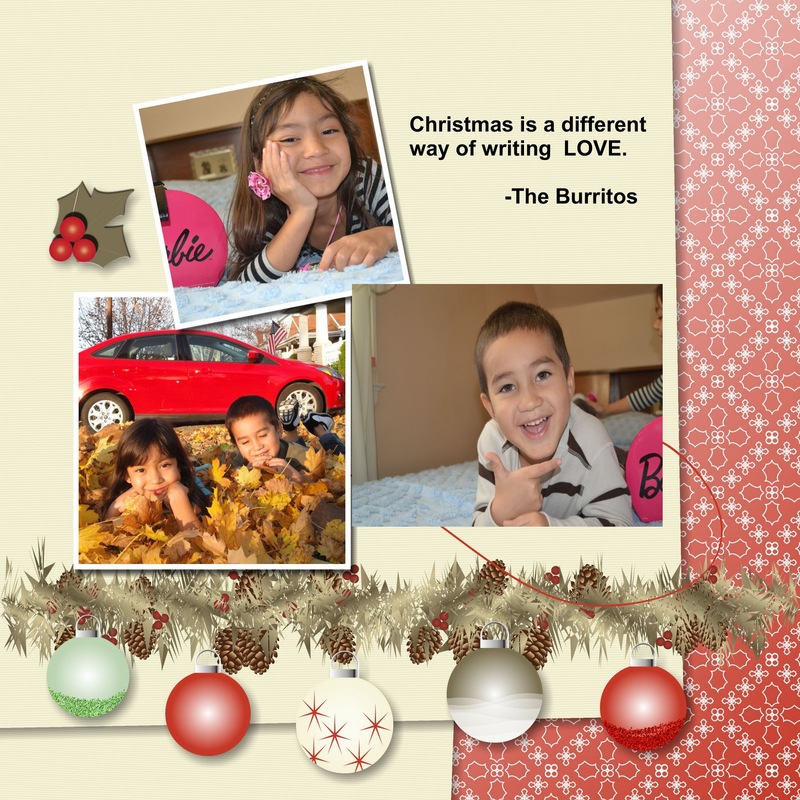 There's actually three but Ms. Burrito gave one to Mrs. Fancher and one to Mrs. Howells, our very kind neighbors. Wishing you guys a safe and enjoyable Thanksgiving. Jumping is fun, so, as soon as the kids saw the Straw jump at Janoski's they were on it. They blasted each other and while I was watching them, a flashback of my childhood came through my mind. I grew up in a farm and my father used to manage a rice field. It's always fun during harvest time because we could jump in the hay. They surely had so much fun blasting each other lol. The little Miss tied herself in this pole when she got tired lol. Praying the rosary is often practiced by Catholics. I remember my college days, I lived in a dorm that is owned by the school. I am one of the student assistants who was assigned at the quarter where the Priest administrators lives. Fr. Mike, an SVD Priest, President of Divine Word College of Legazpi back then, would say the rosary with us (me and other three SA's) every weekend. I actually miss saying the rosary, I hope that I would be able to do it again with my kids. But anyhow, the four of us here at home has it's own rosary beads. These were all given to us by friends. Please check out my Free Scrapbook Software , a $50 value Thanksgiving GIVEAWAY. I can tell that my husband is still grieving about his brother Dave passing away. We went to the cemetery last Sunday after we attended mass at church. Laying beside Dave is also one of John's brother Harold then their Mom was at the bottom near them. My BIL Dave's grave has no tombstone yet so we are browsing around online where we can order one. Have a great weekend everyone. Share your favorite color with us every Friday through Color Connection. The hippo might look feisty but the birds are seemingly not scared of him. Hippo definitely has a charm for the birds. Pictures were taken at the Animal Kingdom in Disney World. Our Burritos are asking for us to take them to the Starvaggi Park but we decided to take them at Marland Heights Park so we could visit Dad as well. The tennis court was open so I went inside and did my run while hubby was playing with the kids at the playground. Soon they all followed e and ran with me. Happy weekend everyone! Link us your favorite color every Friday with Color Connection.